Dedicate more time on your projects and leave the understanding of difficult digits with us. Now invoice easily! Sending invoices that look professional. Sending invoices in a timely manner and focussing on core business. 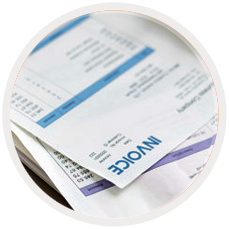 Managing expenses and bill them to the clients with ease. Track task time and manage business productivity. Billing accurately for the time spent on tasks. Invoicera provides the most appropriate features for freelancer invoicing. Bill your clients for the tasks completed, accurately. Maintain daily timesheets and achieve the desired level of productivity. Keep track of all the expenses incurred on the project. Bill to clients for expenses, with ease. Bill to clients using the billing software for freelancers. Save invoice pdf files for future use. Easily schedule the invoices and focus on your core business. Add a late fee to invoices and ensure that the client is making timely payments. The best online billing software for freelancers for hassle free invoicing experience. The invoice software for freelancers provides you with a dedicated client portal for easy client management. The client can access all the required information with ease. Invoicera is integrated with 30+ payment gateways for quicker payments from global clients. The invoicing software for freelancers makes it easier for clients to pay and retain them for longer. Instantly generate invoicing, invoice ageing and outstanding reports for better financial management. Analyze periodically and take quick business decisions. Set up recurring profiles and manage retainer clients. Improve the productivity of invoicing with help of the best invoicing software for freelancers. Bill to global clients with a variety of currency and language options. Customize invoices according to requirements. Q1. What is the licensing model for Invoicera's Freelancers billing solution? A. The Freelancers billing software is licensed on a subscription model. A. 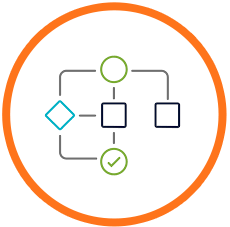 Manage your billing system with Invoicerea. Create and send invoices, manage client data and much more. A. With 3 layers of added security, your Invoicera account is completely safe from any unwanted intrusion. A. Access all your financial reports from the Invoicera dashboard. Q5. How can I manage Global Clientele? A. Send and receive invoices and payments in multiple languages and currencies. Easily communicate with clients residing overseas. Q6. Is Invoicera Mobile App available? I've chosen Invoicera for easy and reliable invoicing and billing needs. It kept me stay organized with the costs savings potential. The benefits don't stop there. We're very satisfied and continue to use Invoicera for our invoicing and billing needs. 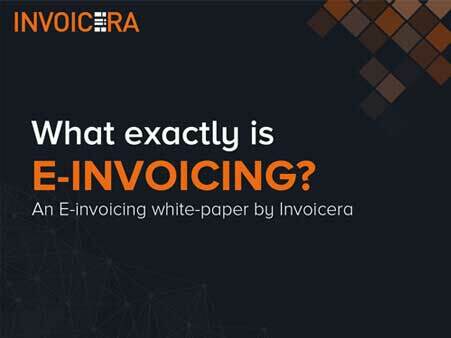 Invoicera is an all-in-one solution for my invoicing/billing needs. This automated software helps me get every small bill effectively and efficiently. Invoicera takes away the worries and hassles of time tracking.